The America the Beautiful silver bullion coin series is an extremely popular series among collectors in the United States. The series began in 2010, and is slated to last through 2021. This eleven-year coin series will produce a total of 56 coins in quarter-dollar denominations, which will be sold to US Mint Authorized Purchasers, and then circulated to the public. Each U.S. state as well as D.C and the U.S. territories of Guam, Puerto Rico, the U.S. Virgin Islands, American Samoa, and the Northern Mariana Islands, will be represented in the series when it is complete. The coins will have a selected national park or other site listed on the obverse of the coin, and are designed to honor the beautiful sites and historical places that are located throughout the U.S., from sea to shining sea and beyond. 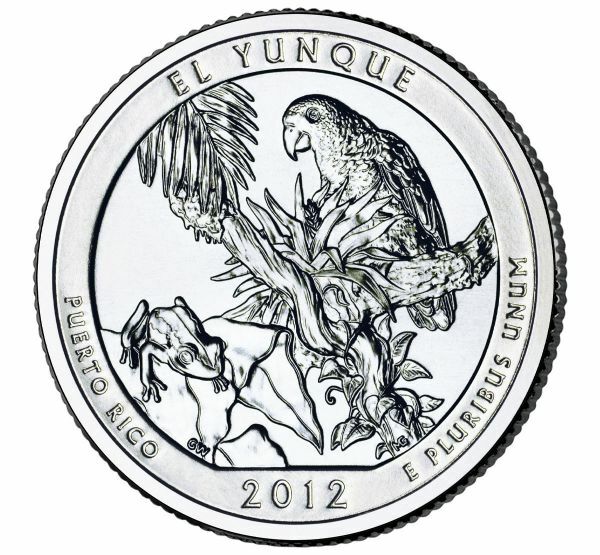 The America the Beautiful design will be displayed on the reverse of the coin. There will be five different reverse designs on the quarter throughout its run. The release date of the coins in the America the Beautiful program will follow the order in which the site or national park on the coin was first established in the park system. Such historic sites as Mount Rushmore National Monument in South Dakota and the Great Basin National Park in Nevada will be featured in this series. These coins are legal tender and are highly collectible. The cons were authorized by the America’s Beautiful National Parks Quarter Dollar Coin Act. This act also mandated that the United States Mint will also strike an exact duplicate in silver bullion of each coin. This was the birth of the America the Beautiful Silver Bullion Coin Program. The bullion coins are duplicates of the quarters in the collection and are set to be released alongside each individual coin’s release. The bullion version is crafted from .999 fine silver and weigh in at five ounces. Each coin has a diameter of three inches. The weight and the fineness of the coins are edge incused. Investors and collectors alike flock to the bullion ATB silver coins due to the fact that they are priced reasonably above spot, while still offering a collector appeal in that there are limited releases of each edition, and offer collectors the opportunity to assemble all 56 coins into a set. The design of each coin is truly stunning, as the 5 oz canvas allows much more clarity and detail than typical 1 oz silver coins like the American Silver Eagle. The U.S. Mint offers several products featuring this new program, including a quarters proof set, a silver proof set, 100-coin bags, and two-roll sets. These products are available online through the US Mint. Collecting the bullion version of this coin is a wonderful way to invest in silver. Silver holds its value over time and has performed well historically. The U.S. Mint has been striking silver coins since 1792, and this coin is poised to become one of the most popular coins in the history of the Mint.